The latest in our Summer series sees an England international nominated by Leigh Drake (@omarlittlerules). Those who saw this player in his early days at United could see he had talent and over his Bramall Lane career he quickly demonstrated he had the potential to represent his country in major tournaments. I’ve been watching United since November 1979. Not the best time to start watching – just before THAT Christmas but as a 9 year old I fell in love with the whole experience at a wet 1st Round FA Cup game at Bramall Lane against non-league Burscough. Stood on the Panini stickers family corner of the Kop next to a man who dressed and swore like a South Yorkshire version of Rab C Nesbitt, how could I fail to be caught up in the magic of it all? In the intervening time I’ve had the pleasure of seeing some fantastic (and some not so fantastic) games filled with memorable moments. 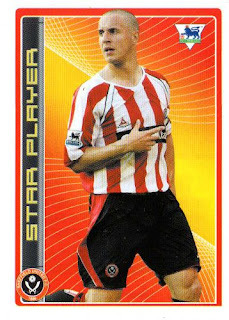 My choice of “favourite Blade” is a modern-day one, chosen for more reasons than just how he was in the beloved shirt. Philip Nikodem Jagielka played for Sheffield United through the youth team and on into the senior squad making his debut there in 2000. I remember seeing him and thinking he needed to bulk up a bit and that he had a long way to go to become a regular in the first team. I wasn’t the only one with the same opinions but the raw energy and enthusiasm to play was there in abundance. 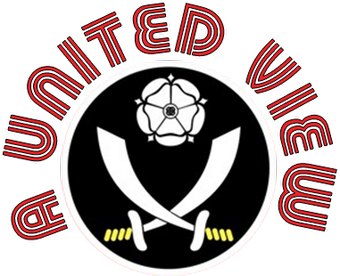 Jags has been responsible for 3 on-pitch events that have provided sheer joy to Sheffield United fans. Firstly – his 35+ yard equaliser against Premiership Leeds United in the League Cup, November 2002 is STILL one of the best goals I have seen, anywhere. It still makes the hairs on the back of my neck stand up watching it again. The atmosphere at that game was electric and to have a goal like that just brought the whole crowd to its feet. Secondly, Jags gave United their first Premiership victory since 1994 when he half-volleyed (again after chesting the ball down some 35 yards out) into the Middlesbrough net, this time in front of the Kop. A shaven-headed Jagielka face-sliding onto the turf while the ground erupted is another of those fantastic moments he has given us. Third and perhaps completely overlooked by many is the home game on December 30th 2006 against Arsenal when Paddy Kenny suffered a thigh injury early in the second half. United were 1-0 up thanks to a great piece of individual work by Christian Nade and needed to hold on for the next 30+ minutes to secure the victory. Jags swapped shirts with the injured Kenny and will be forever remembered for his last minute save against Robin Van Persie (what happened to him?). For these three incidents alone Phil Jagielka deserves his place in Blades history but his contribution is much, much more. Off the pitch Jags always conducted himself with a maturity beyond his years, a trait that I understand continues through to this day. Having met him early in his senior career at a Bramall Lane open day he was more than happy to sit with everyone who wanted a photo, to chat and to promote a positive image of Sheffield United – qualities which don’t always come as standard with those who are lucky enough to earn money playing a sport they love. Courted by many Premier League clubs Jags stuck by his club for many years more than others less talented cared to do. It felt like Jags wanted to learn his trade to ensure he didn’t just end up being a bench player or worse, one that was sent out on loan instead of being given a chance to shine. This way of thinking paid off for him when he eventually left for Merseyside. It appears Jags had and still has his feet firmly on the ground and that is not only a credit to him but to those around him, friends, family and workmates should all be included. Finally, Jags always gave 100% - something that above all else – is applauded roundly at Bramall Lane. As a group of fans we have always appreciated a trier. When that effort is combined with a great deal of footballing ability it makes him stand out even more. So, although I can claim to have seen a large number of well known, bigger named, respected players come and go at Bramall Lane it’s the contributions of Phil Jagielka that have stuck with me. I know I am not the only Blade who still follows Jags at Everton and in his England appearances, something that cannot be said of many others who once wore the red and white stripes.